Positive Approach to Dementia Care: Don't leave learning to the young. Older brains can grow, too. Don't leave learning to the young. Older brains can grow, too. 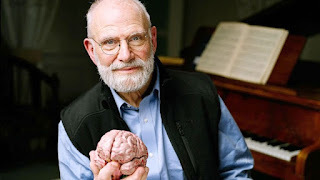 The great neurologist, Oliver Sacks died Sunday at the age of 82. He was an inspiring doctor, scientist and author. He had such great compassion and empathy for those with brain injuries and disorders. Here is a link to an Op-Ed he wrote for the New York Times back in 2010.